Welcome to the Lighthouse Inn. 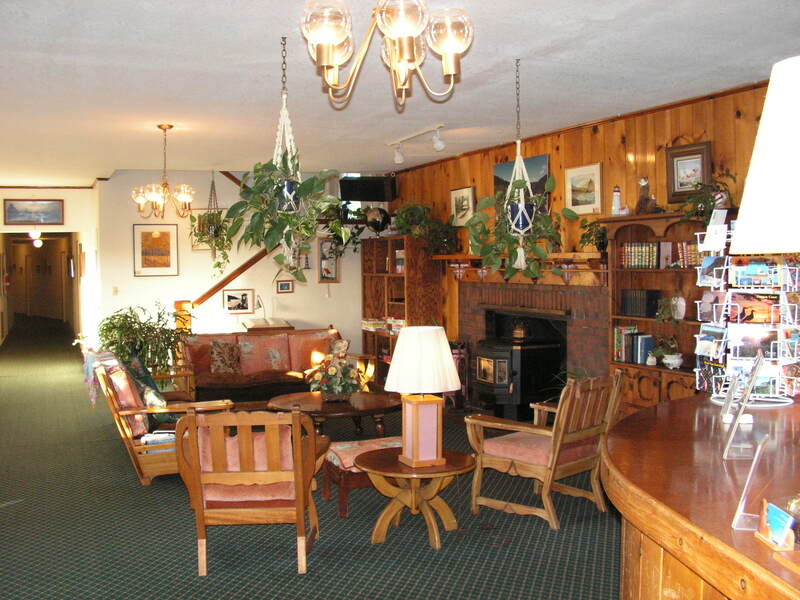 Our wonderful historic hotel features a large knotty-pine paneled lobby with fireplace and lots of antiques. We offer three stories of unique, quaint guest rooms at very competitive rates. As of January 1, 2010 we are 100% Non-Smoking. 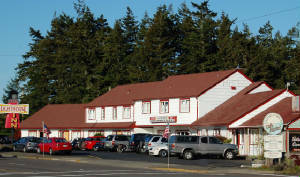 The Inn is located only one short block from Florence's historic Old Town/Waterfront District complete with marina, seasonal open-air market, outstanding restaurants, art galleries, shops, boutiques and the Siuslaw Pioneer Museum. Florence, Oregon itself is a great place to visit. It is close to the magnificent Oregon Sand Dunes, sparkling clean ocean beaches, waterfalls, lakes, rivers, championship golf courses, horseback riding, Sea Lion Caves, and Heceta Head Lighthouse, perhaps the most photographed lighthouse in America. Relax, read, compute, eat, drink, play games and be merry in our cozy, spacious lobby. View photos of Rhody Days, Past and Present!